Our office is dedicated to serving the needs of our clients each and every day. Richard Thomas was originally with the Fruitman Law Office. Unfortunately, Robert Fruitman (founder of the corporation) passed away in March of 2012. He had been practicing law for over twenty years dedicating his legal services toward cases involving general civil litigation, personal injury and many other areas of law. He was a great asset to this community and will be greatly missed. Richard Thomas was the successor to the corporation and is now a solo practitioner. 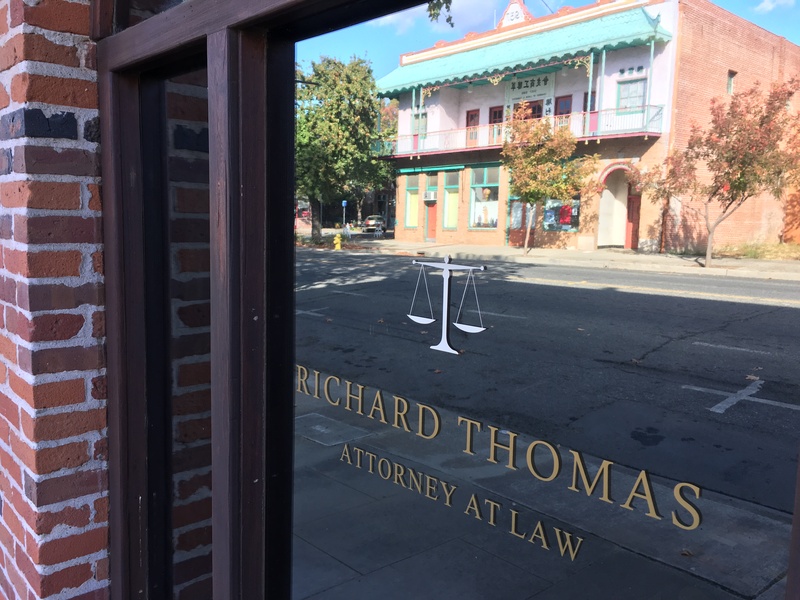 Richard Thomas has been litigating since 2001 and dedicates the majority of his time and energy towards criminal defense and family law. His commitment and success is the result of years of practicing in the local area. This includes cities such as Yuba City, Marysville, Colusa, Live Oak, Gridley, Chico, Paradise, Oroville, Wheatland, Browns Valley and Oregon House.